Obama’s Plan B Reversal: Maybe He Should Have Explored Plan C? If the move panders to moderate voters who don’t like imagining their daughters would ever need Plan B, the fallout from the disappointed left may be even more damaging. 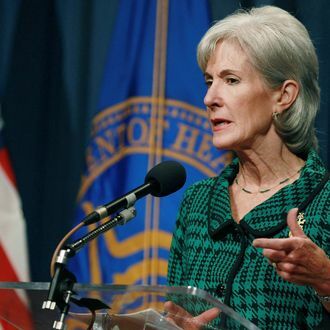 Sebelius’s last-minute reversal not only quashes what was seen as an important, hard-won victory for reproductive-rights champions — both symbolically and practically — but it also comes close on the heels of an amped-up campaign from social conservatives, as seen most recently in the failed Mississippi “personhood” amendment. It’s an unforced surrender that confirms, yet again, the left’s fears about Obama. And if Rick Perry’s new “war on religion” video proves anything, it’s that the culture wars still garner plenty of big-time political traction. Perry, though, is playing to his base. The Obama administration is reaching, instead, for a muddled middle ground — which does indeed rile up his base, but not with the sort of emotion Obama is hoping for.